As usual, the team at LetsGoDigital has produced some wonderful renders to help give an idea of what a rumored/leaked device could end up looking like. 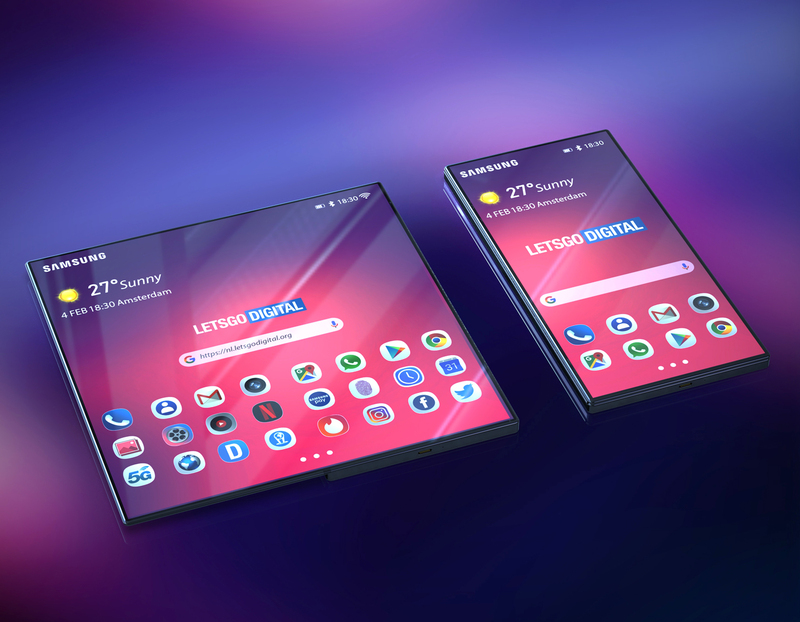 This time it’s the turn of the Samsung Galaxy F/Fold foldable smartphone. We already reported on how a Galaxy Unpacked video was uploaded to YouTube recently by Samsung Vietnam, which offered a brief look at a foldable device. LetsGoDigital has based its renders on the smartphone shown in the clip. 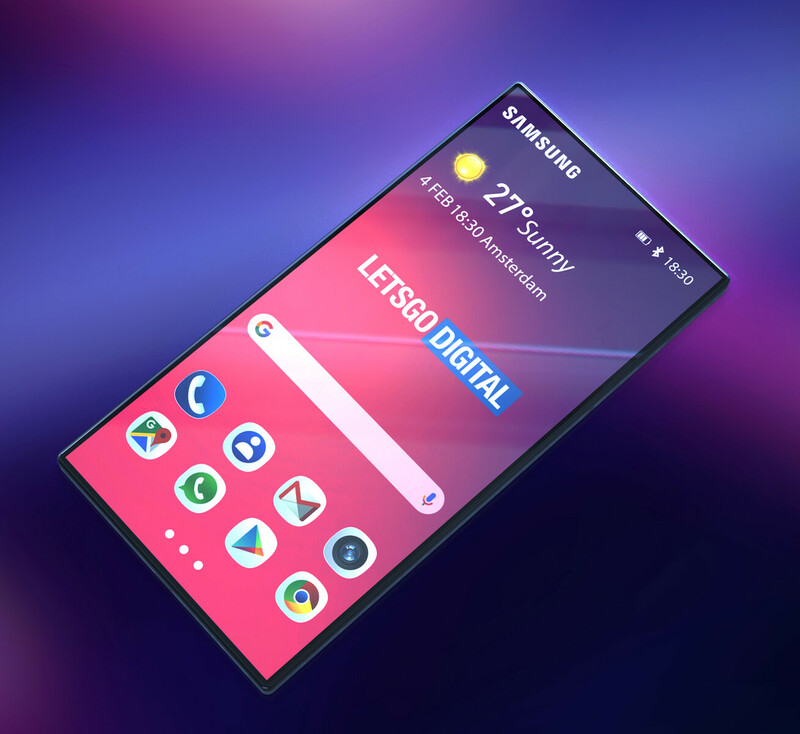 The new look for the Galaxy F/Fold (the name still hasn’t been confirmed) stands in sharp contrast to the device that was shown at the Samsung Developer Conference in November. The foldable smartphone in the video is clearly much thinner than the device Justin Denison was holding in his hand. Another difference, spotted by LetsGoDigital, is the amount of icons shown per row in smartphone mode. 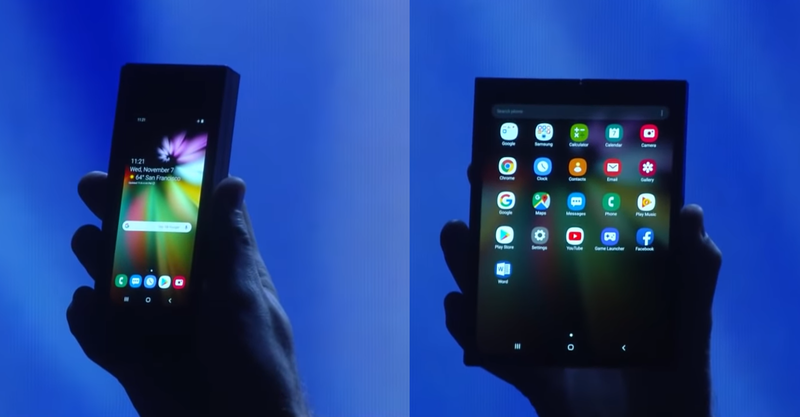 The November prototype had five icons per row, whereas the smartphone in the video has four. 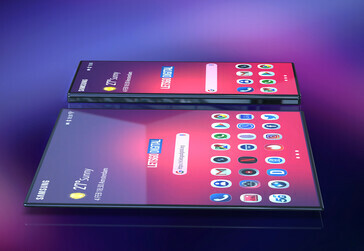 Generally speaking, the foldable in the leaked video looks much more streamlined and advanced than the smartphone shown at the 2018 conference. It’s important to remember that the Galaxy Unpacked video showed a number of glimpses into potential future technology, and it is possible that the foldable smartphone was among that number. 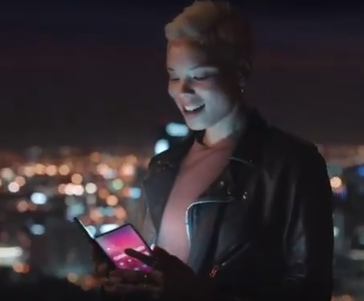 The device Samsung eventually reveals may more resemble the conference version rather than the video version.